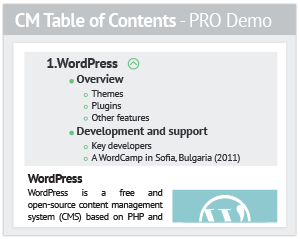 CM Table of Contents WordPress Plugin is one of the best table of contents WordPress plugins. 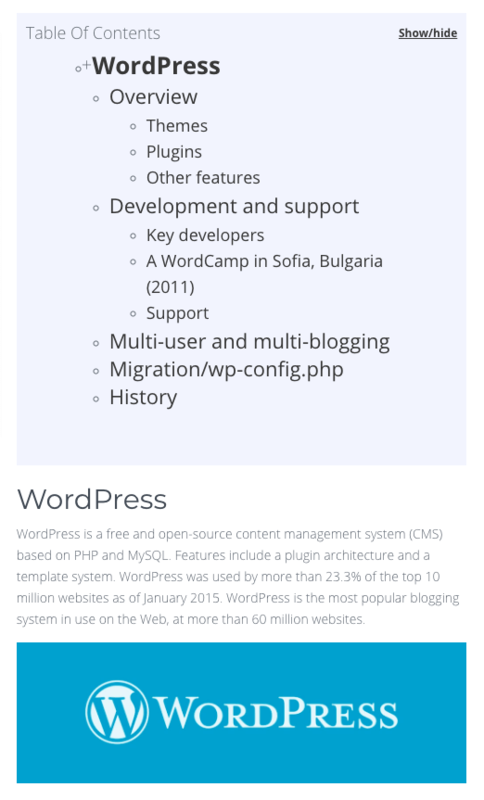 It helps users easily navigate your WordPress posts. The TOC plugin can automatically generate and insert an easy to use, user friendly navigation section to the post headers. 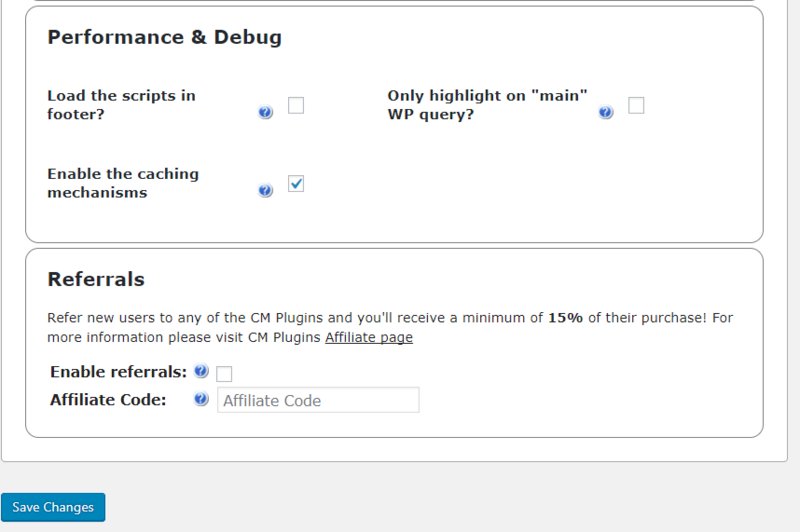 Bloggers can also easily generate a Table of contents to their blogs/blog posts with this plugin. The index makes readers’ life much easier as they can simply click on the headings to be taken to the content. 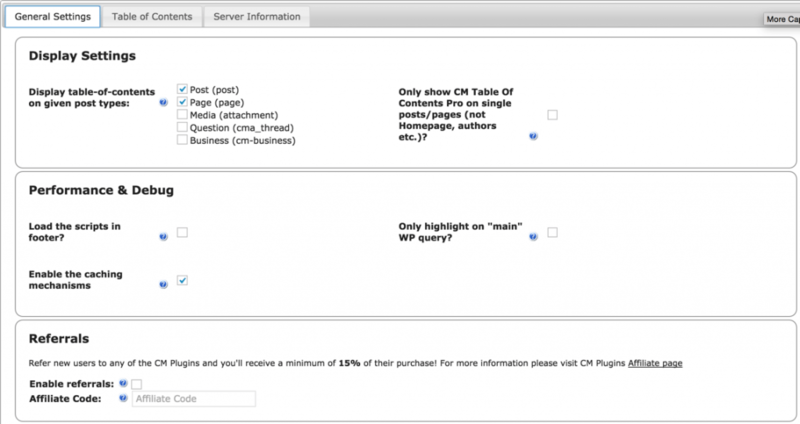 Get Table of Contnets Pro and 6 other essential WordPress publishing plugins for 50% less! 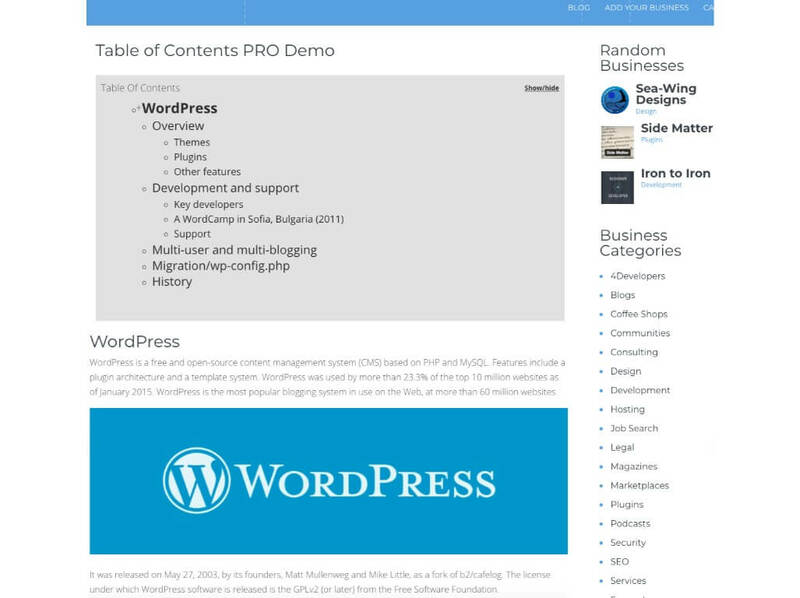 The powerful yet user friendly Table of Contents plugin automatically generates a navigation table or table of contents based on the WordPress posts, WordPress pages, and custom post types for users by parsing through the website’s contents for headers. 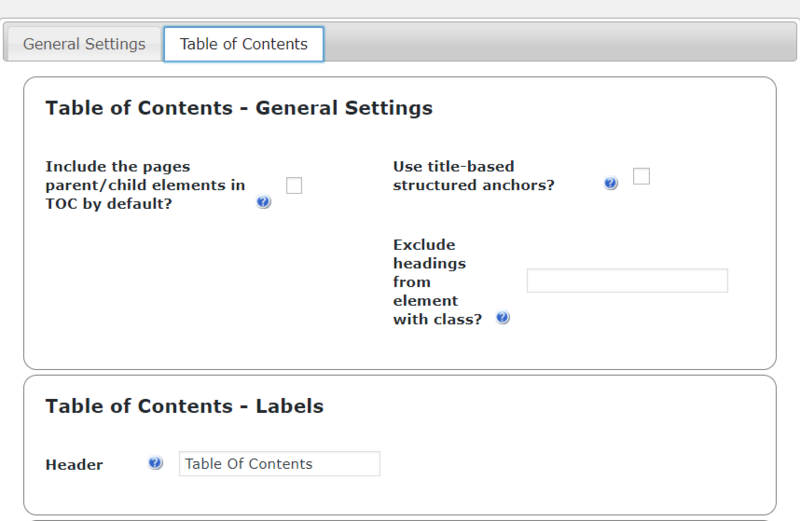 The site Admin can pick the table of contents title or position, including adding a sidebar or a heading. This easy TOC plugin helps the admin to insert a TOC anywhere within the post content to display the navigation section with a simple shortcode. 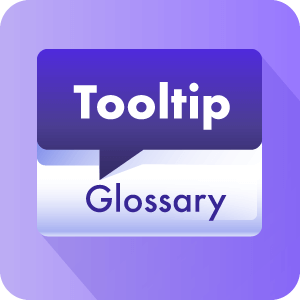 The index helps the reader navigate the page or site in much the same way as the contents box on Wikipedia, highlighting critical sections of the site in a clear fashion, or offering an overview of the contents at a glance. @jejones8 at WordPress.org: "Great Service and Quality Plugin - I was looking for a table of contents plugin that was smart enough to accommodate a variety of knowledge base style posts and this one fit the bill. There were a few technical glitches in the first try, but the support team was exceptionally responsive and listened and acted very quickly to my needs. 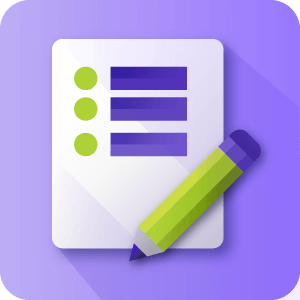 In addition to the basic functionality, it also provides great styling options and the ability to be used in the body of the text as well as in widget areas. I would recommend going for the premium version as it offers more functionality for a reasonable price.."
The table is customizable and it is easy to define the look and shape of the navigation section added to each post. 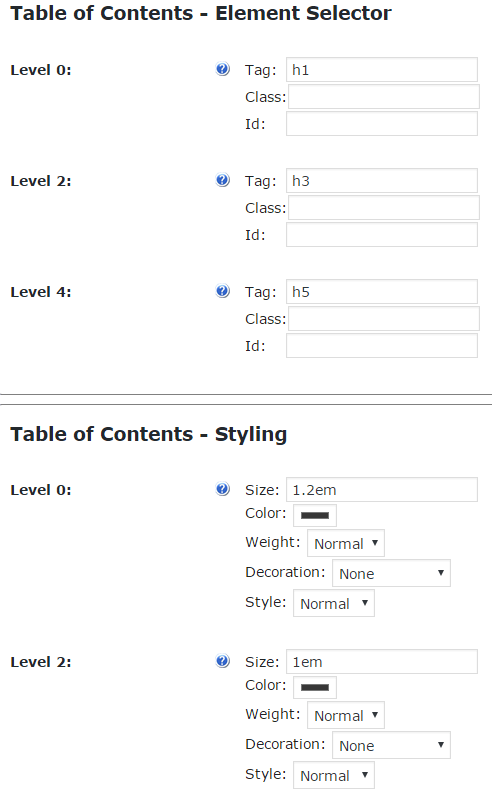 The different sections can be generated based on any tag or CSS class included in the page or post content. For example, heading levels such as H1 / H2 / H3 or a div/span with a specific class. @coptic-treasures at WordPress.org: "The ONLY table of contents plugin that recognizes pagination - The best table of content WordPress Plugin. Extremely highly custmizable. The only one that recognizes pagination. Also, the technical support team is very efficient and knowledgeable. 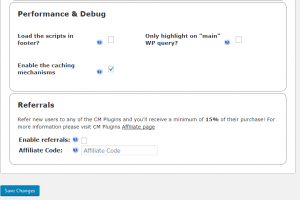 After researching for months, CM table of contents plugin was the solution. I highly recommend it to anyone who has complicated post structure or long posts and wants a perfect table of contents plugin." On Page Navigation Tool – Makes it easy for your users to navigate between different sections of your content. Use a floating DIV which comes with the TOC once users scroll the page. 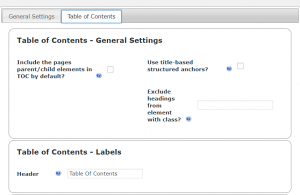 Table of Contents Elements – TOC can be defined by tag, class and id. Collapse Expand – TOC can be collapsed on page load. 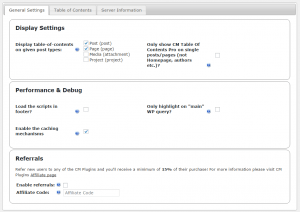 Automatic Creation – TOC can be automatically created for all site pages. 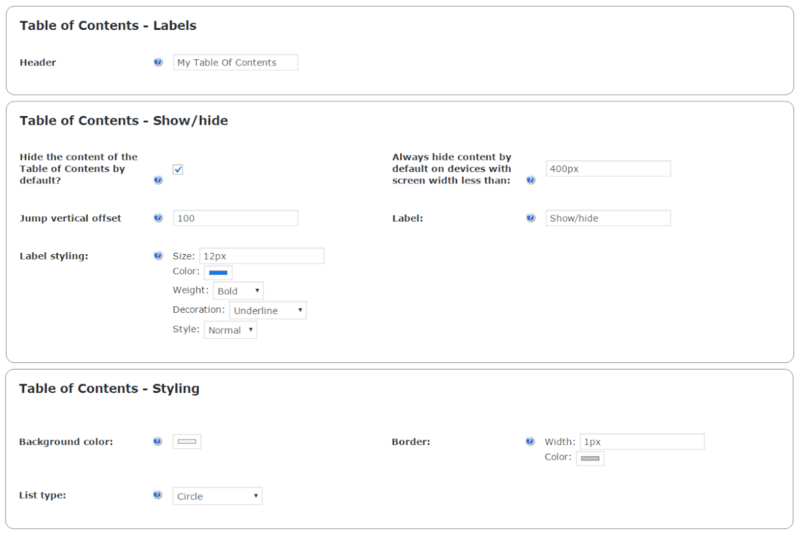 Unique Tags and Classes – TOC can be defined using unique tags on each post or page. 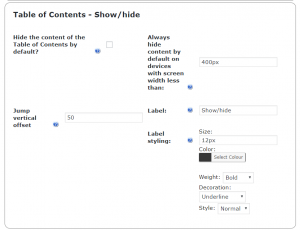 TOC Location in Page – TOC can be inserted in any specific location on a post or a page using a shortcode. Back to the Top Button/Arrow – You get an option to add the ”Back to the Top” button or an arrow. 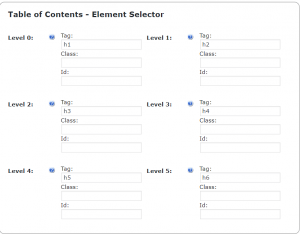 Define specific tags for each page or post – In each page or post, you can use the metabox to define the specific tag, class or id to use for each level. These definitions can override the global plugin settings. 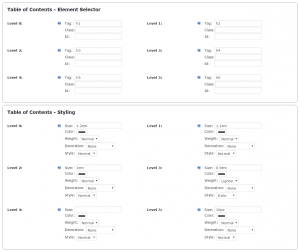 View Image – CM TOC – Metabox on each page or post. 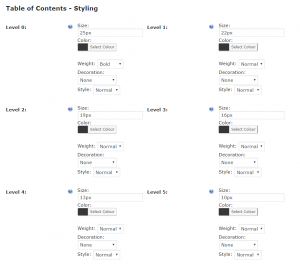 Appearance/Style TOC – You can change the appearance of TOC, the general settings include specific instructions for how to style the table of contents using font size, color, weight, and style. 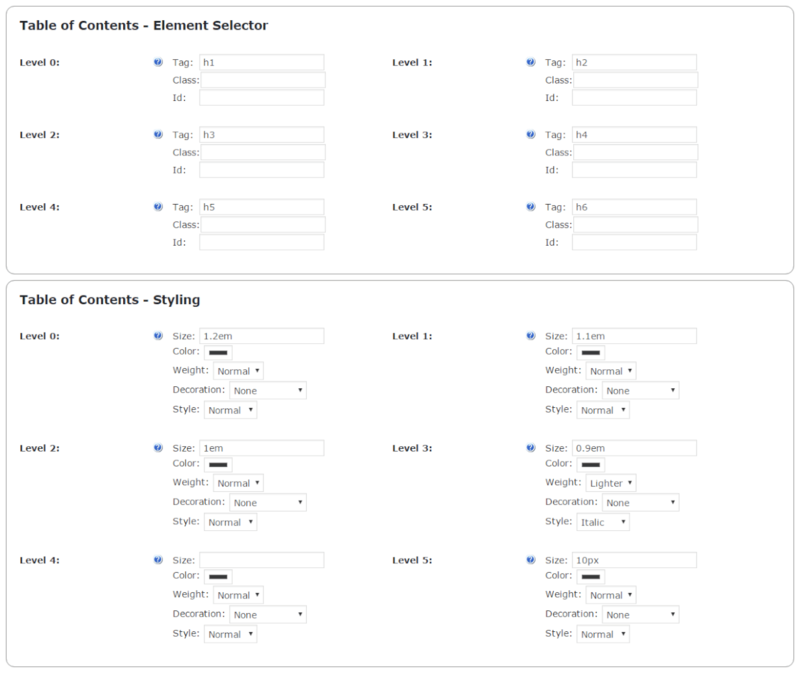 View image: CM TOC – Global settings to define TOC styles. 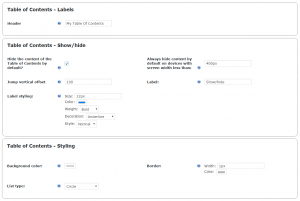 Support Custom Post Type – Our plugin supports any custom post type. 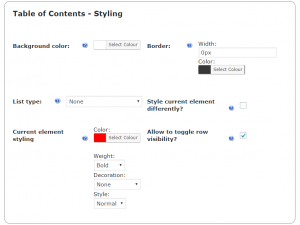 The User can specify which types of posts to include in the general settings. 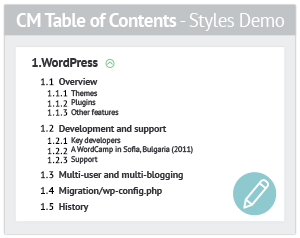 View image: CM Table of Contents general settings. 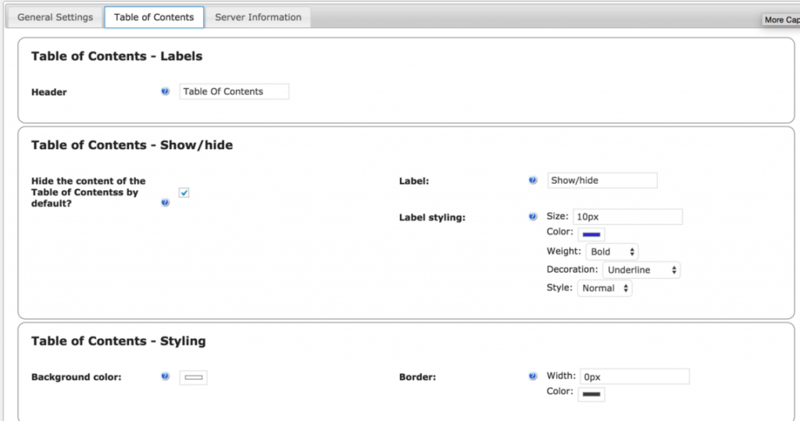 Define show and hide the table behavior – Our plugin supports show and hide the table option on page load and displays a specific label to open and close the TOC. View image. 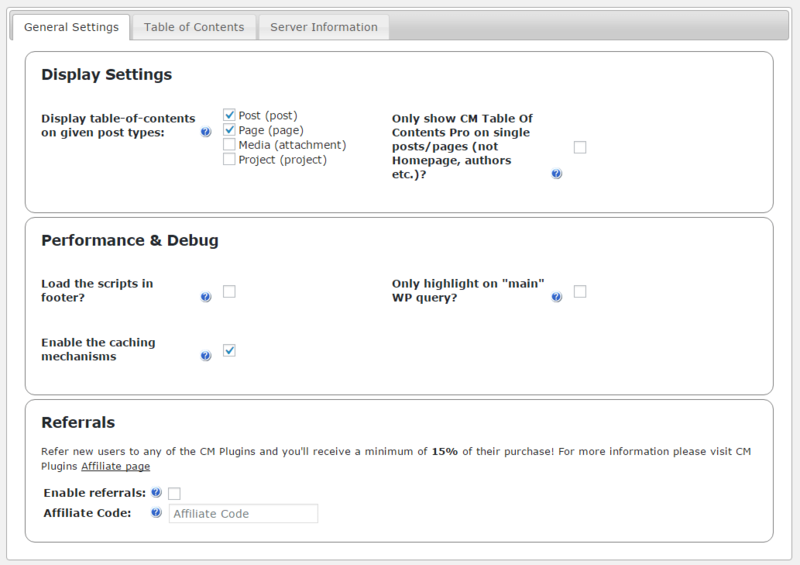 Child Pages Support – Supports allowing the table of contents to navigate to child pages of the parent page. Widget support – A good looking TOC can also be displayed using a sidebar widget. 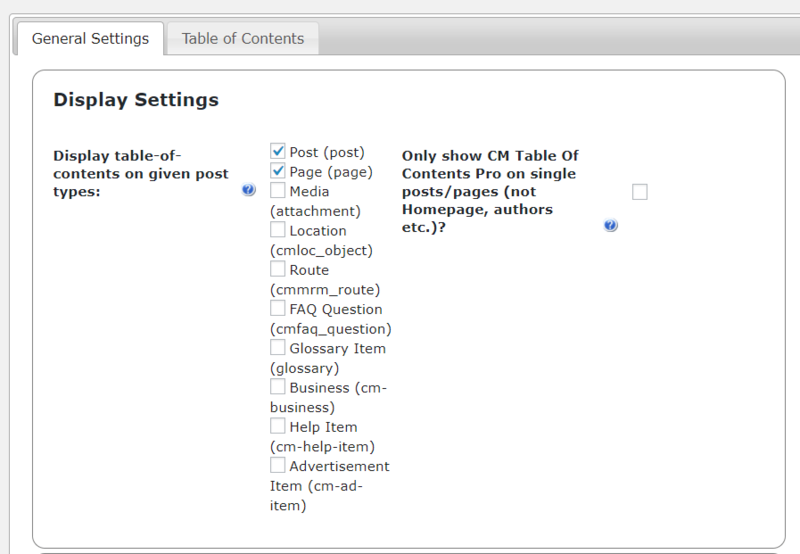 Next Page Support – In long paginated posts, TOC can point to the exact location in the pages and posts. 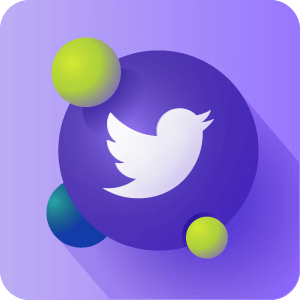 Insert TOC to any page/post – You can add TOC to any page or post. 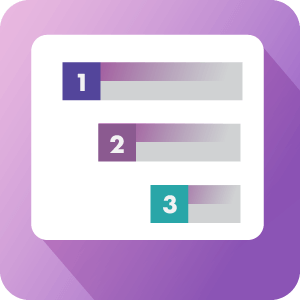 Hierarchical /Multi-Level Table – You can easily add a multi-level table to any page or post and define which heading level to use for the table items. It scans the headings through the post content and generates a table of contents accordingly, fixing it to the page display. 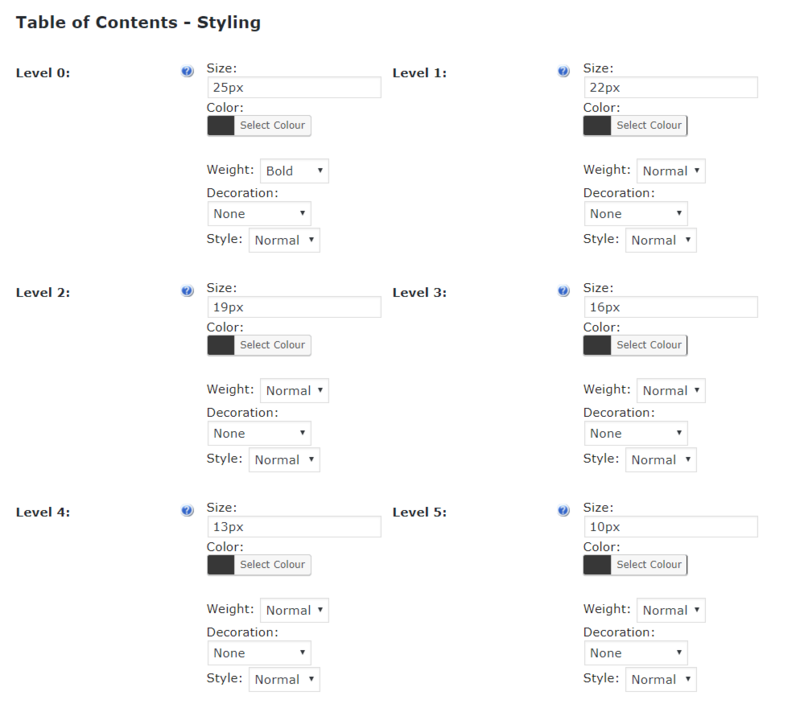 Multiple TOC – You can add multiple table of contents in the long paginated posts to make it easy for the users. For example, one TOC on the top and one at the bottom of the post so that users don’t have to scroll much to find the table items. 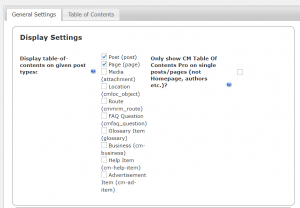 Enable/Disable TOC – The Table of Contents is automatically generated and you can enable or disable the auto-insert option on a specific post or page. Text Wrapped Table – This TOC plugin gives you an option of wrapping the text left or right. Two Columns – Show the TOC output in one or two columns. Floating TOC – Show a floating TOC div once user scroll the page. You can also change the height and position of the floating TOC. 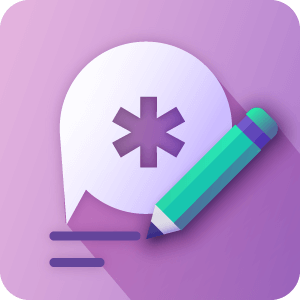 Floating TOC Button – You can change the text of the floating button. Can I choose which pages show my Index? Yes. 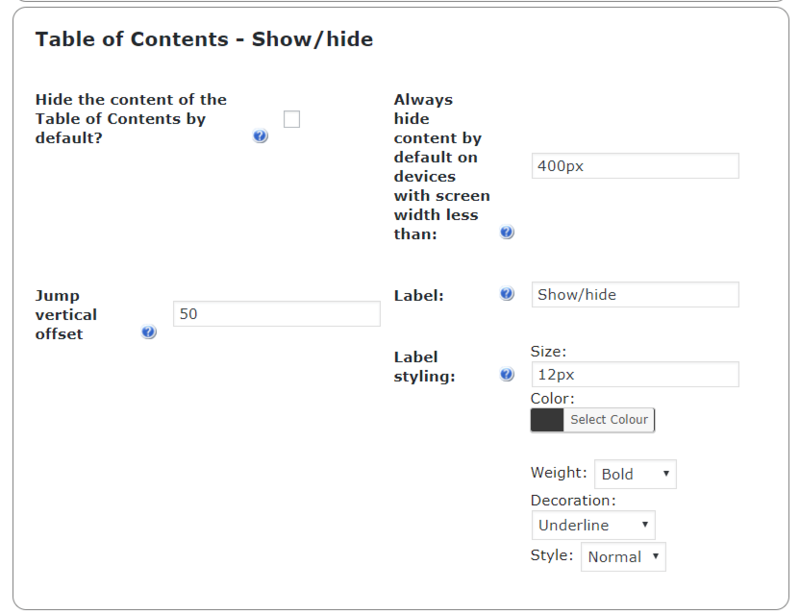 You can either decide based on Page, Post or Custom post types where the Table of contents should display. This will display the TOC at the top of these posts. It’s possible to also place TOC’s manually within pages in places where they wouldn’t show, by placing Shortcodes. Learn more about manually placing TOC’s by clicking here. Can I use the table on custom pages? Yes. 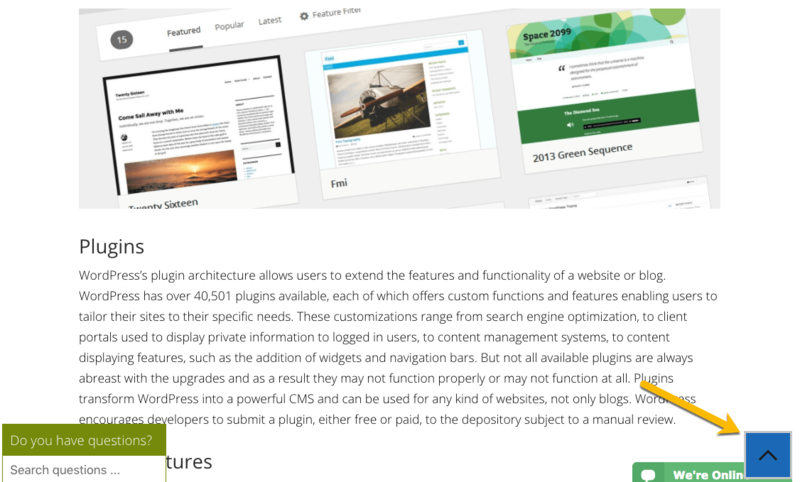 The plugin supports custom post types. 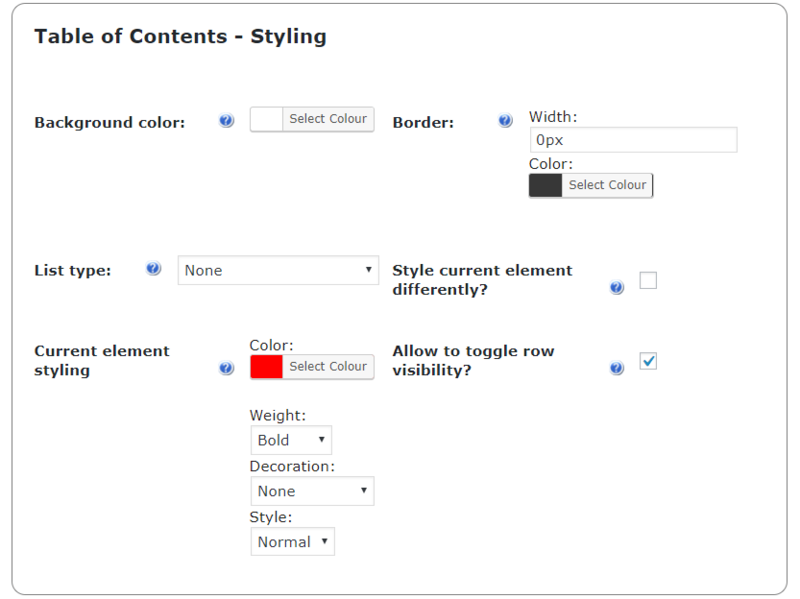 In the plugin setting you can easily define which custom post types are supported. How can I change the look of my index? Do I have to show my table of content at the top of posts and pages? Certainly not. You can choose to hide them completely on specified pages, or use the show/hide module to let the reader select what suits them. You can also insert the TOC anywhere on the page using a shortcode. How do I define the TOC headings? 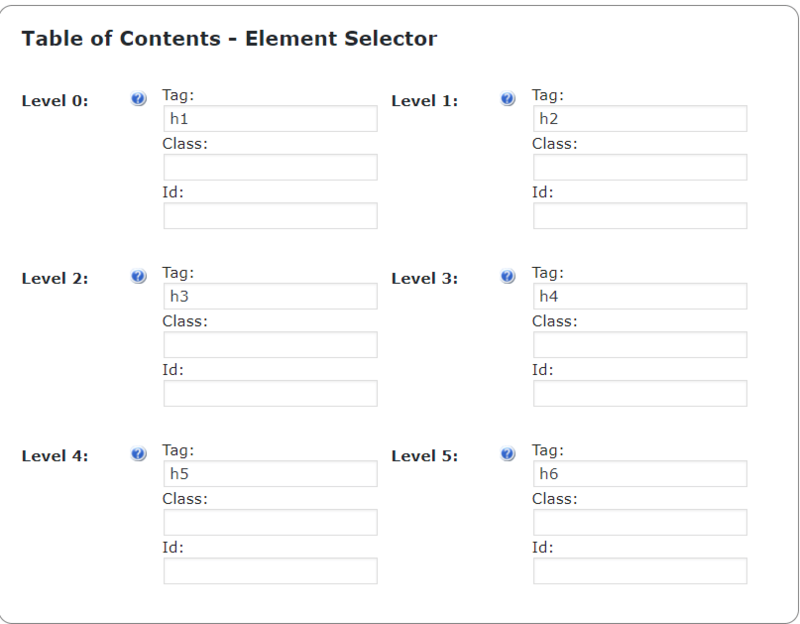 CM TOC Plugin helps the Admin in generating table of contents through the defining of HTML tags and class. TOC headings are defined in the plugin settings, where you can choose between html tags like H1, H2, H3 headings, or use CSS classes such as div and span to mark new chapters in your TOC. Next, enter them into the text as you normally would, and the TOC will automatically parse them. First part of Table of Contents settings. Second part of Table of Contents settings. This is a simple, but powerful and smart plugin! Unlike the others, they are too simple and not useful as this one. It detects the headers by itself, and make it anywhere as we wanted!However, multilingual supported will be much appreciated. I have a 3 languages site, and using Polylang. If we could change the text of “The Table of Content” in different language, it will be much much appreciated.! Bug: Fixed the Table of Contents detection for tags nested in the heading tags eg.